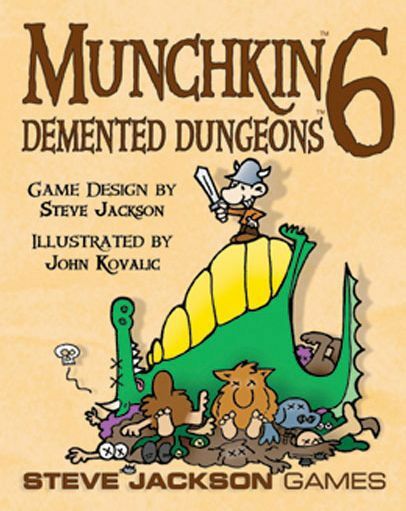 Munchkin 6: Demented Dungeons brings those underground lairs to the world of Munchkin. Now you can enter the Dungeon of Elvish Excess, where everyone is an Elf. Or take a Portal to the Dungeon of Manga Wrangling, where tentacles are even more dangerous. Or power up in the Dungeon of Unexpected Epicness – although it’s hardly “unexpected”, given the name.